If you’re obese or overweight, restore it! As mentioned earlier, having more pounds of excessive weight before pregnancy increases the risk of developing gestational diabetes. So if you’re overweight or obese, it’s much better to restore your weight as normal as possible before you start to get pregnant since weight loss diet is usually not recommended during pregnancy. In addition, gaining a few pounds of weight over the course of the pregnancy is expected. However it’s still important to make sure that your pregnancy weight gain is not too far! How much gain is normal during pregnancy? The answer is dependent on your weight scale before pregnancy (see the following ‘safe pregnancy weight gain’ table)! * Source acog.org. It seems that the safe number of pregnancy weight gain is more limited for greater BMI. For more information, discuss with your doctor at your first prenatal visit! How your diet should go? Again, the body’s cells during pregnancy are likely to become more resistance to respond insulin. While it’s aimed to help provide extra sugar and more nutrients available to support the baby growth, this also can cause blood sugar to rise more easily (especially when the cells of your body become too resistant). And poor diet may worsen this insulin resistance. It is also to blame for your excessive weight gain before and during pregnancy. Most suggestions in diet for diabetes are also helpful for non-diabetics who do concern to prevent diabetes, including gestational diabetes. For instance, foods with high-GI (glycemix index) are bad for you insulin sensitivity with or without diabetes. See more information of what to eat and what to avoid for diabetes in this section! Get more fiber! Fiber is very essential to keep you full longer and control your weight. It may also have a significant effect to cut the risk of gestational diabetes. Research suggests that eating adequate fiber everyday may help reduce the risk by up to 26 percent. Typically, sugar pays more attention when it comes to preventing and treating diabetes. But don’t forget to also restrict or avoid any foods that can ruin your fertility and pregnancy such as foods high in saturated fats, trans-fats, and mercury. Eat everything in balance – make all that you eat fit into your daily caloric budget! Even fresh fruits and vegetables contain calories. If you eat them too much, you may also get weight gain. Again if you want to lose weight, do it before pregnancy! Weight loss diet during pregnancy can be counterproductive and even dangerous for your pregnancy and baby. If you do need to lose a few pounds of your weight during pregnancy, work together with your doctor or dietitian to keep safe! Can exercise help protect you from developing gestational diabetes? With a balanced diet, your exercise plays a key role to lose your excess weight and keep it off. It’s thought that regular exercise may help improve your insulin sensitivity, keeping your blood glucose levels healthy in long term. Getting regular exercise deliver lots of health benefits which some may indirectly contribute to help prevent gestational diabetes. For instance, keeping active can help promote your fat distribution. Having more excess fat in the abdomen may increase the risk of impaired glucose tolerance. Try to have regular exercise, at least with 30-45 minutes of moderate activity on most days of the week! Brisk walking and swimming, for examples – are simple, practical choices to start. According to one study, active women with ‘about 4 hours of moderate exercise a week’ before and during pregnancy may have decreased risk of gestational diabetes by up to 70 percent. To keep safe, talk with your doctor about how often & how much you should exercise! These natural ways and approaches don’t guarantee that you will not develop gestational diabetes. But it’s always important to adopt healthy habits as much as you can before and during pregnant for your best chance of having healthy pregnancy. How about herbs, supplements, or any alternative therapies? Currently there is no information about whether or not particular vitamins, herbs, or therapies can help protect you from getting gestational diabetes. But if you do believe that some of them may help, it’s much better to check with your doctor first! “Am I at risk for gestational diabetes?” – The National Institutes of Health. Can You Reverse Gestational Diabetes? 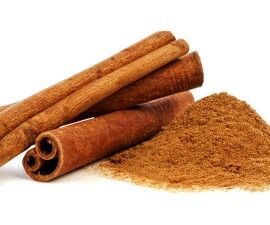 Does Cinnamon Lower Blood Sugar (Gestational Diabetes)?